Children’s vomiting – scary parents of the symptom. The adults immediately begin to remember what you ate before your baby, and don’t know what to do and how to help. Some begin immediately to call an ambulance, someone turns for advice to parents or friends, and who opens the search page in the Internet and «Google». In this article, we reviewed how to stop vomiting in a child in cases of poisoning and other diseases, in which cases you should immediately seek medical help, how to recognize a serious condition with his child. Vomiting is a protective symptom in child or adult organism, which indicates the onset of failure or the development of the pathological process. In most cases, nausea and vomiting are caused by irritation of the stomach walls some toxic substances. Our body is trying reflexively to get rid of them, and vomiting is the fastest and most efficient way to do it. 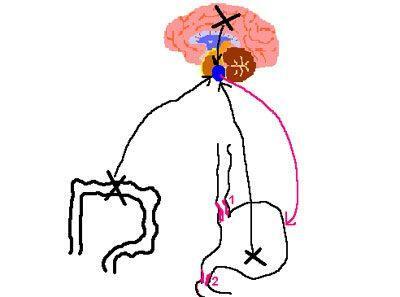 Vomiting also may be of Central origin and to have neurological origins. In case of irritation of the vomiting center located in the brain, you may experience retching. As a rule, the vomiting, the patient does not bring the expected relief. Occasional vomiting may also develop in completely healthy children, for example, as a response to a feeling of disgust or during crying. For example, in kindergarten, if one child begins to vomit, more than half of the kids reflexively begin to do the same. Before you start first aid if the child is vomiting, you need to try to understand what was the cause of its appearance the baby. Children’s bodies are more sensitive to stimuli and is able to clearly respond to new products or, for example, the temperature rise on the street. Remember that vomiting is never an independent process. In all cases, it is only clinical manifestation of a condition (pathological or physiological). When evaluating the baby and when searching for the original cause strong vomiting it is necessary to take into account the products he had used, and additional symptoms arising from the patient. Acute food poisoning that may develop due to consumption of stale, rotten and substandard products. Also the cause of poisoning may be lack of personal hygiene of the child. Poisoning by chemicals, acids, alkalis, medicaments, poisons. Children all like to drag to your mouth and taste it. Such intoxication is dangerous, can cause internal bleeding, cardiac arrest and failure of vital organs. Indigestion, in which he tries to get rid of annoying his food. Such a phenomenon may develop after overeating, or by eating unusual and «heavy» food, for example, something smoked or greasy. Intestinal infection (salmonellosis, dysentery, etc.). This disease is manifested by profuse and watery diarrhea, vomiting, fever and abdominal pain. Congenital intolerance to any food, for example, lactose or gluten. Usually, this condition is detected at an early age, and parents know what kind of food is strictly prohibited to give their child. Acetoneiso syndrome – a condition caused by weakening of the body, intoxication or poisoning. Manifested vomiting, flatulence, diarrhea, abdominal pain. In this case the mouth of the baby and his urine smells like acetone. This condition is typical for children of preschool age to 6 years, sometimes up to 7-8. Then the kids «outgrow» a feature of your body. But before this age, should closely monitor a child, start treating this symptom at the slightest its manifestations. Inflammatory diseases of the digestive system – gastritis, cholecystitis, pancreatitis, duodenitis. Earlier, 15-20 years ago, it was believed that these diseases can develop in children older than 10 years. Nowadays thanks to the decline in the quality of food and the deterioration of environmental conditions, chronic gastritis, you can easily meet the baby in 2 years. Peptic ulcer disease. When this disease develops damage to the mucous membranes of the stomach or duodenum, appear on their surface erosion and ulcers. This disease can develop in 3 years, and at an earlier age. The reason for it in 98% of cases is H. pylori infection. Diseases of the Central nervous system (meningitis, encephalitis, brain swelling, increased intracranial pressure, traumatic brain injury, etc.). Thus, in addition to vomiting will manifest neurological symptoms, such as dizziness, headache, seizures, disturbance of consciousness. Pyloric stenosis is a congenital disorder in which the sphincter of the stomach is narrowed, it does not allow large quantities of food into the duodenum. Most often it is diagnosed in kids up to 1 month. Parents begin to notice the child vomit a fountain after eating, and vomitus can be seen curdled milk, that is undigested last meal. Heat, sunstroke. Thermoregulation in babies is not completely developed, and a chance to get heat stroke they have at times higher than in adults. Acute surgical pathology (appendicitis, intestinal obstruction, intussusception). SARS, flu, high fever can be a cause of vomiting in children under 5 years. At this age the body is very sensitive to the intoxications and infections (viral or bacterial). Gastrointestinal bleeding can develop not only in adults but also in children. This is manifested as a dark vomiting and diarrhea, resembling coffee grounds. What to do if vomiting occurs in a child, to what doctor to address, what can I do to relieve nausea and retching? The first step is to calm down, to try to calmly assess the state of the baby and to see other symptoms. In cases of suspected acute poisoning, infection, bleeding or surgical pathology should immediately call the team of SMP and to go with the baby to the hospital. Immediately seek medical help, if you see that the boy’s condition is rapidly deteriorating, and all your actions aimed at providing him with first aid, do not bring any positive result. Vomiting if the child does not stop. Especially dangerous this symptom in babies under one year old, they have quickly become dehydration and water-electrolyte failure. If fever above 38 degrees on the background of vomiting. In case of profuse and repeated diarrhea. If there is a smell of acetone breath in a child or from his urine. With the development of acute abdominal pain. If you suspect damage to the nervous system. For example, in convulsions, disturbance of consciousness, severe headache. In the case of traumatic brain injury. The appearance of dark vomiting or diarrhoea. If you suspect a poisoning, drugs or some chemicals. When the usual food poisoning can not immediately call an ambulance and go to the doctor in the clinic or to call it home. Before contact with the doctor is necessary to begin to treat the child. If the child vomits, you should try to stop it and provide the necessary assistance to Chad. Treatment at home can be carried out only under the supervision of a pediatrician. Self-medication is dangerous for the health of the baby and may cause serious consequences. You can try to provide first aid. First and foremost, before you can stop vomiting in a small child should be removed from the stomach the remnants of the toxins caused by food poisoning. You need to give him a gulp of water and pressure on the root of the tongue. Then you need to give the child vomit absorbents. It can be enterosgel, activated carbon, smectite. These drugs can suppress the gag reflex and subsequent vomiting prevent seizures, but they neutralize toxins, remaining after washing the stomach in the digestive system, and prevent the deterioration of the child. At the neutralization and excretion of toxins that the nausea will gradually take place. Start baby to drink plain carbonated water. So he began again to vomit, let him drink small amounts of fluid, for example, a SIP every 5-10 minutes. If you have regidron, you can start to use baby. With the help of this drug you can regulate the water-electrolyte failure and reduce the level of intoxication. 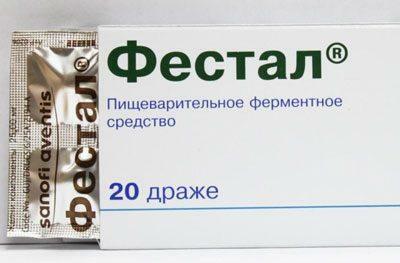 Popular antiemetic drugs (metoclopramide and reglan) can be given to children only after consultation with the doctor. Despite the fact that these drugs can quickly clean up the vomit and help the nausea, they can cause the kids have a large number of side reactions, and use them with caution. Further treatment is prescribed by a pediatrician. Food poisoning and relatively easy as a child to cure it at home. Thus it is necessary to adhere to all medical recommendations and abide by them. Diet. During treatment, you need to give up fatty, sweet, smoked, fried or spicy. All products should be light diet. To feed the baby needs small, frequent meals. Copious drinking. You can drink simple or mineral alkaline water, regidron, weak black tea. Enzymes (CREON, festal, Mezim). They are appointed to normalize digestion. Probiotics. For example, bifidumbakterin with vomiting in a child, caused by intoxication, helps in the future to restore the intestinal microflora, impaired due to diarrhea. 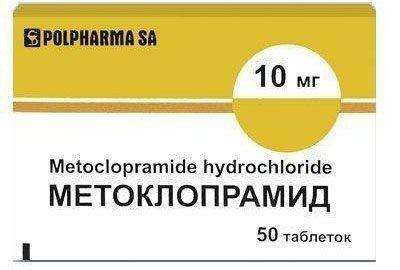 Spazmolitiki (but-shpa, papaverine) are prescribed for relieving intestinal colic and pain in the abdomen. Sorbents. Drugs in this group can give some time, to remove toxins from the intestinal lumen. Vomiting in toddler can develop for many reasons. When it occurs, you should seek medical help. You can give the child first aid. It does not give children medications can help from vomiting, they can cause large number of adverse reactions. They can be used after the permission of the pediatrician. On first stage you can wash the stomach to the kid to give him the sorbents and drink it with water. In the case of mild food poisoning, treatment can be performed at home, after consultation with your pediatrician.